Western blot analysis of extracts from DLD1 and Hep G2cells using MDR1/ABCB1 (E1Y7S) Rabbit mAb. 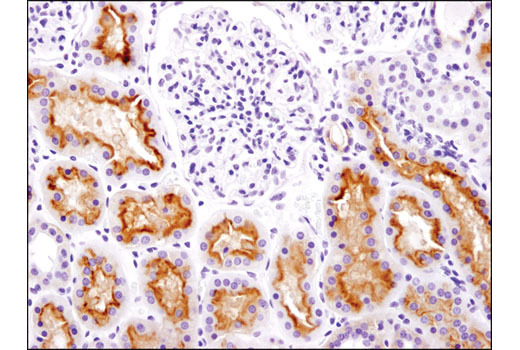 Immunohistochemical analysis of paraffin-embedded normal human kidney using MDR1/ABCB1 (E1Y7S) Rabbit mAb. 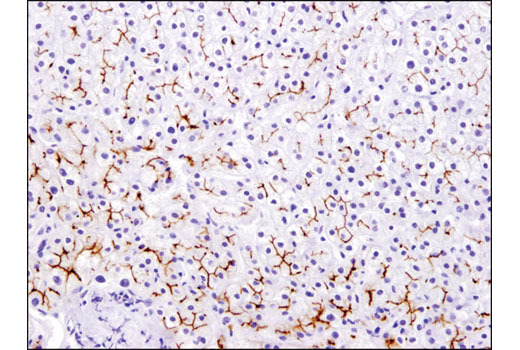 Immunohistochemical analysis of paraffin-embedded normal human liver using MDR1/ABCB1 (E1Y7S) Rabbit mAb. 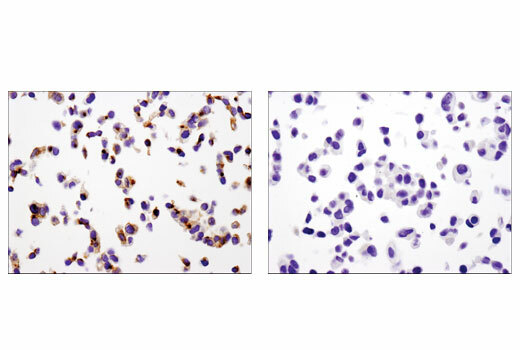 Immunohistochemical analysis of paraffin-embedded Hep G2 (left) and MCF7 (right) cell pellets using MDR1/ABCB1 (E1Y7S) Rabbit mAb. 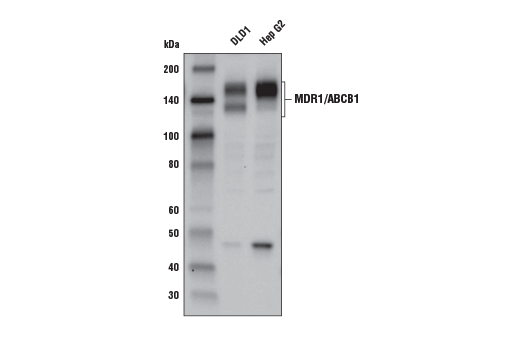 MDR1/ABCB1 (E1Y7S) Rabbit mAb recognizes endogenous levels of total MDR1 protein. Monoclonal antibody is produced by immunizing animals with recombinant protein surrounding Ala650 of human MDR1 protein.